Beach vibes for Summer days. We see a black one-piece swimsuit that is an ideal piece for Summer vacation. Complete it with a cool fedora style straw hat. Tag your bestie! If you do like hot and bright looks, then a red swimsuit is a must! 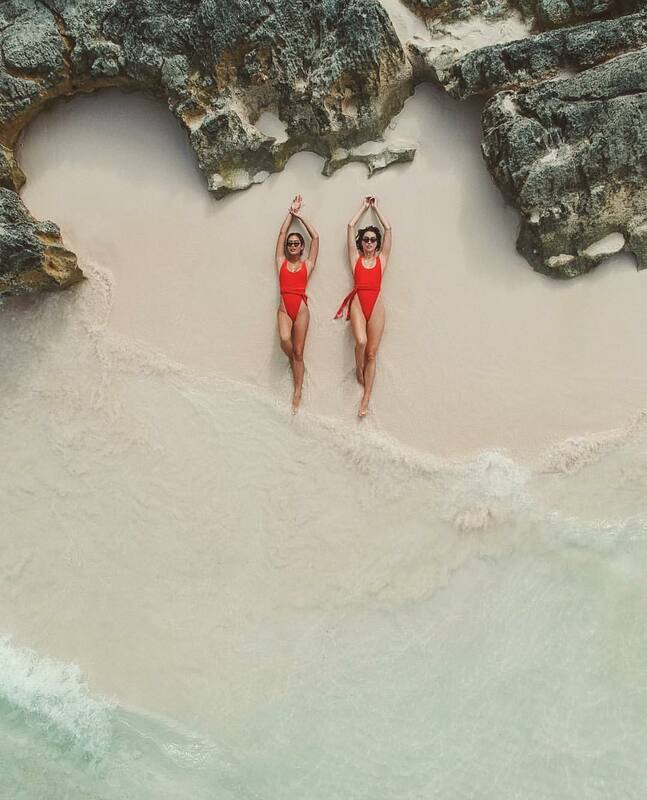 Here we see two ladies wearing amazing red swimsuits. You can have so much fun with these styles. Complete them with your favorite oversized sunglasses. Your Favorite Flamingos. We see a black swimsuit worn under a white shirt during Summer vacation. Complete this basic look by adding a straw Panama hat and classic shades. Ice Cream time 🍦. Be sure to check this cool beachwear style. We see a white swimsuit completed with white cat-eye sunglasses, wide brim straw hat and cream white belt bag. A perfect look to underline your classy elegance. Surfing 🏄‍♀️ time! We see a fantastic black swimsuit that can be worn during your Summer vacation. Complete it with a cool pair of geometrically shaped sunglasses. Summer splash! Go wild this Summer by wearing a scalloped swimsuit in black completed with a wide brim straw hat. You definitely should give this combo a try during beach days this year. Here we see a lovely one-piece swimsuit in black color. It’s an ideal design for young ladies who love to keep things simple. I do recommend to wear it during your stay in Santorini. Complete this swimwear with cool rounded sunglasses.